Case will run again…..For now…..
After the split of the democratic vote in the Hawaii Special House seat election you’d think Ed Case would get the message…. But right now his bruised ego won’t let him do that…. From 5,000 miles away the Dog can see that the race in November is going to be a native one…. It’s not pretty but Case is going to find himself standing alone….The voters will migrate to Hanabusa…. I’m sure some polling will show this in the next month or two…. Any mention of Obama…even though he’s hometown favorite….hurts the candidate….. I said this about Hanabusa …and I was wrong…..Now I repeat this for Case…..
Give it up Ed…..For the parties sake….leave it for Colleen (Hanabusa )….. Despite a disappointing third-place finish in the Hawaii special election, former Democratic Rep. Ed Case said Monday he will still compete for the Democratic nomination and declared that there is no way state Sen. Colleen Hanabusa can defeat Rep.-elect Charles Djou in November. “I went surfing; I went to the beach; I did look at the results, and I made the decision that I’m running again,” Case told POLITICO. His comments make clear that the bad blood between Case and Hanabusa during the special election has not subsided, and that both are headed towards a repeat of their divisive special election feud, which led to Republican Charles Djou winning Hawaii’s traditionally Democratic 1st District this past weekend. Djou won the seat with 40 percent of the vote, but Hanabusa finished in second place with 31 percent, a surprising finish since most pre-election public polls showed her lagging well behind in third place. Case instead brought up the rear, with 28 percent of the vote. Case attributed his third-place finish to being attacked by both Djou, who viewed him as the strongest challenger, and third-party labor and women’s groups, which poured money into the district on Hanabusa’s behalf. With the Democrats back in power….Rules and Regulations are back….. The days of Republicans and laissez faire are behind us….. When things go wrong these days…. Never mind that there isn’t enough people to enforce the old ones…. Damn if people followed EVERY rule …Nothing would get done! And things have gotten sideways a lot these days, huh? There will crys from those effected that there is cost involved in these enforcement actions….. But The people who enforce the laws have never ran those businesses…..
People shouldn’t get too crazy…. The natural rhythm of politics will kick in…..
Obama will get another term and Congress will split between the parties the money for enforcement will die…Congress will resend the rules…and more ever….the enforceers will meet resistance from the lawyers, politicos and the amount of work…. It always works this way….. The surge in rule-making has resulted from an unusual confluence of factors, from repeated outbreaks of food-borne illnesses to workplace disasters. Some industry groups, wanting foreign competitors to adhere to the same standards they must meet, have backed new federal mandates. The push for some of the measures began at the end of the Bush administration, a tacit acknowledgment that its deregulatory agenda had gone too far. Still, the new aggressiveness reflects the new cops on the beat, and the contrast with the Bush administration is an intentionally sharp one. 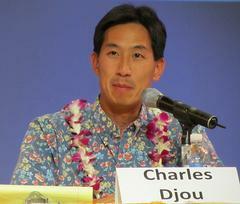 While the Bush administration mostly favored voluntary compliance by industry, senior Obama administration officials argue that carefully crafted regulation can be a positive force……..
Hawaii …….Djou will win as Daniel wants…..But the seat goes back to Democrats in January…..
Yea Daniel gets another one….. But as he so correctly pointed out to me yesterday……. Djou is just babysitting the seat (he’ll have it for 7 months )…. Thus Richard Case will easily win the seat back for the Demeocrats in Novemeber….which is why the DCCC turned the money off in the race…..
Charles Djou is smelling victory in the winner-take-all for the 1st Congressional District. But it may be short-lived. Recall Hawaii’s special election of 1986. Democrat Neil Abercrombie won the race to replace Democrat Cec Heftel in Congress, who resigned to run for governor (and lost). But Abercrombie’s term was only for three and a half months. He lost the primary that year to Mufi Hannemann, and Hannemann lost the general to Republican Pat Saiki. Should Djou prevail over Democrats Ed Case and Colleen Hanabusa in the May 22 special election, as polls now suggest, his will serve in Congress from May 24 until early January 2011 — about seven months (including an August recess). Who’s looking ahead to September? Colleen Hanabusa has already pulled papers to run in the primary along with two other Democrats. Two Republicans and a nonpartisan candidate have pulled papers, too. Djou and Case? Not yet. Cuomo is quietly backing Rice to succeed him as New York State Attorney General….. If Andrew Cuomo becomes New York State’s next Governor ……as most of us think he will……. With that in mind …..
We have begun following the AG race in New York State.. The fact that Nassau County DA Rice came in second has not gone unnoticed around the state…. That fact has been boosted by the common knowledge that Rice is now being pushed for the State AG position by Cuomo…who is more that 30 percentage points above Republican’s Lazio AND Levy….The two would-be GOP challengers for right to run against Cuomo…. It seems that New York City Mayor Bloomberg has HIS guy lining up for a run at the Governor’s job also…. That is Staten Island DA Dan Donavan……..
A note to Mr. Donavan…..
Bloomberg just bearly got reelected after spending $130 Million….. The last person Bloomberg backed for anything was Harold FFord, Jr.for the New York State Senate seat…. And he never got out of the gate! Mayor Michael Bloomberg and soon-to-be gubernatorial candidate Andrew Cuomo appear to be lining up on opposite sides in the contentious battle for New York state attorney general. Mr. Bloomberg is strongly encouraging Staten Island District Attorney Dan Donovan, a Republican, to enter the race and is prepared, once Mr. Donovan announces, to endorse him officially, people familiar with the matter said. Mr. Cuomo’s political team, meanwhile, is quietly urging Democrats to unite around the candidacy of another prosecutor, Nassau County District Attorney Kathleen Rice, according to state Democrats. The race to succeed Mr. Cuomo as attorney general has emerged as one of the most closely watched contests this year, as Mr. Cuomo prepares to pursue the governorship. With two of the state’s most dominant political figures staking rival ground, the stage is set for a proxy war over control of an office with national influence. 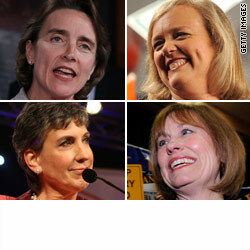 Mr. Donovan, who is expected to launch his bid in the coming weeks, is surrounding himself with Bloomberg aides. Bradley Tusk, Mr. Bloomberg’s campaign manager last year, is a top strategist, and Virginia Lam, a former press aide to Mr. Bloomberg, has been tapped to handle communications for Mr. Donovan. 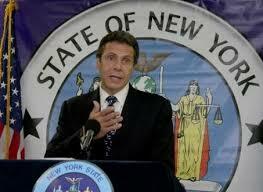 How about this Cuomo dance around the truth by staff…. A spokesman for Mr. Cuomo’s political team said the attorney general has not settled on a candidate to support in the race. A spokesman for the Rice campaign said the district attorney “would obviously be thrilled to have his endorsement,” but declined to comment further on the possibility. Ms. Rice’s second-place finish, ahead of two more established rivals, was seen by Democrats as a sign of Mr. Cuomo’s helping hand. WHEW. We’ve BREAKING NEWS out of the Aloha State. I KNEW this would happen. The DCCC and his Campaign Chief Chris Van Hollen (D-Maryland) OFFICIALLY DECIDED to pull the Plug on Hawaii. Hawaii Special Election….Democrats will go with Case….They want Hanabusa to drop out…. The hard part will be for Democrats on the Island, and the mainland, to get Hawaii State Senate President Colleen Hanabusa to drop her bid for the spot…….. The White House and top Democratic officials are circulating a new, private poll to suggest that only one of two Democrats splitting votes in a tightly contested Hawaii special election has a chance of winning the race. The White House and Democratic Congressional Campaign Committee see former Rep. Ed Case as a stronger candidate than State Senate President Colleen Hanabusa in a race that has divided Democrats. Hanabusa has the support of much of the state’s establishment, including both senators and key labor unions. “Our April 24 to 26 survey among 506 likely voters in Hawaii’s 1st CD special election shows Democrat Ed Case virtually tied with Republican Charles Djou, but leading on every dimension over Democrat Colleen Hanabusa,” pollster Paul Harstad wrote in a memo accompanying the DNC survey, both obtained by POLITICO. Harstad’s poll is the latest weapon in intense efforts to push Hanabusa out of the race, or at least move some of her institutional supporters to Case’s side. There are “a lot of conversations” under way between Washington Democrats and Hanabusa’s key supporters, the official said, though the official declined to make the White House’s goal explicit. Harstad’s poll found Case the most popular candidate, with a 63% favorable rating to 55% for Republican Charles Djou and just 41% for Hanabusa. The survey found Djou with 36% and Case with 34% to Hanabusa’s 20%, a Republican lead that widened among the most likely voters and “illustrate[s] the vulnerability of losing this seat to the Republicans,” Harstad wrote of the survey, which found Case more popular than Hanabusa even among women. “The bottom line is that with a split-Democratic vote, this congressional is more likely than not to fall into Republican hands……. Nancy Pelosi is doing fine Thank You…….. While Nancy Pelosi may not be popular out in the hustings……. But Pelosi who everyone complained about a year ago …has found her way……. Republicans betting on her unpopularity outside of Washington have made the speaker the face of their effort to retake the House this fall, asking donors to “Fire Nancy Pelosi” while showing images of her engulfed in flames. The first tests of that strategy will come later this month with the GOP trying to win two seats long held by Democrats in special elections in Pennsylvania and Hawaii. But Pelosi girded for this fight years ago, when she outlined a four-step plan for a lasting Democratic control of the House. The first two steps came with winning the majority in 2006 and expanding it in 2008. While hoping for big Democratic gains in the 2012 presidential election cycle, the goal this year is merely to “sustain” the majority. With the economy limping along, Democrats are bracing for deep losses but cannot afford to lose more than 40 seats. Pelosi said she’s ready for the fight.